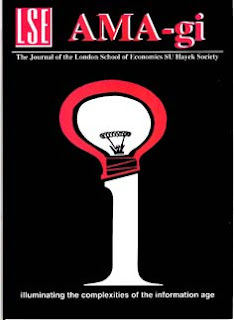 "Digital Cash and Monetary Freedom", my early work on anonymous electronic currency, was published by the London School of Economics in AMA-gi, The Journal of the London School of Economics Hayek Society, Issue 1 (1996). Originally, the paper was presented as part of the Internet Society's INET'95 Proceedings in Honolulu, Hawai'i, June 27-30th, 1995. It was also subsequently released by the Libertarian Alliance in their Economic Notes series and by the Electronic Frontier Foundation. American entrepreneur and author Seth Godin covered my research in his 1995 book, Presenting Digital Cash. My thesis was further legitimatized by the mainstream when Professor Roger A. Arnold, currently at California State University San Marcos, referenced the work in his Economics, Edition 4 (1998) textbook for students. An additional link to the PDF version can be found here and on SlideShare. Extropy: Journal of Transhumanist Solutions published an article by Mark Grant, entitled "Introduction to Digital Cash", in its 2nd-3rd Quarter 1995 issue. The journal covers the full range of advanced, emerging, and future technologies, and their impact and implications for both the present and the future. Extropy emphasizes finding solutions to problems of the human condition, as well proactively considering potential unwanted side-effects of new technologies. Not all solutions will be fully formed, with some Extropy content aiming to form a clear understanding of the issues. "It seems likely that many governments will be reluctant to relax their banking regulations to allow the use of anonymous digital cash rather than credit cards and checks or fully tracked electronic payment systems. The primary reason for this is the supposed value of digital cash to the 'Four Horsemen of the Infocalypse': drug dealers, terrorists, money launderers and child pornographers. While it is true that there is some value to them, will banning the use of digital cash harm them more than legitimate users?" Mark Grant has a Master's Degree in Physics from Oxford and he is the author of Privtool, a free PGP-aware mail program for Sun workstations. In his pinstriped suit and wire-rimmed glasses, Timothy L. Jones looks every bit the traditional British banker. Sure enough, he has spent a dozen years at National Westminster Bank PLC. But ask Jones what he is doing now, and he responds with an intensity worthy of a Silicon Valley entrepreneur. Leaning across a table, he waxes eloquent about his new enterprise, Mondex, and the future of the product he's selling: a new kind of electronic money. A raft of companies are developing their own forms of electronic money, known as E-cash. E-cash is money that moves along multiple channels largely outside the established network of banks, checks, and paper currency overseen by the Federal Reserve. These channels enable consumers and businesses to send money to each other more cheaply, conveniently, and quickly than through the banking system. Some of the E-cash players are faceless, dubious outfits that exist in cyberspace and can be traced only to a post-office box--in the physical world. But there are plenty of others, ranging from techno-savvy startups with names such as DigiCash and CyberCash, to corporate icons including Microsoft, Xerox, and Visa. Citicorp is even developing what it calls the Electronic Monetary System, an entire infrastructure for using electronic money to be issued by Citi and other banks. These companies are part of a mass experiment that could transform the way we think about money. In the process, it could change consumers' financial lives and shake the foundations of global financial systems and even governments. Digital money is the ultimate--and inevitable--medium of exchange for an increasingly wired world. With E-cash, you'll no longer need to carry a wad of bills in your pocket or fumble for exact change. Instead, you might carry a credit-card-size piece of plastic with an embedded microchip that you will ''load'' up with E-money you buy with traditional currency. Or, you might store your digital coins and dollars--downloaded over phone lines from your bank or other issuer of E-money--on your PC or in an electronic ''wallet,'' a palm-size device used to store and transmit E-money. This digital money will let you shop online, zapping money to a merchant over the Internet, or perhaps paying for a movie on demand over an interactive-TV network. It also has the potential to replace cash and checks for everyday purchases--in stores, restaurants, or taxis that accept E-cash. Businesses could also keep a stash of E-cash on hand for buying office supplies, or use it to transact directly with each other instead of going through banks and electronic funds transfers. But the advent of E-cash raises all sorts of questions, most of which remain unanswered: Who should be allowed to issue E-cash, and who will regulate those issuers? How will taxes be applied in cyberspace, which transcends physical boundaries? Who will set the standards? How do you ensure that payments made over the Net will be secure? How will consumers be protected? How will regulators police money laundering and counterfeiting on private networks? While regulators wrestle with these questions, technology is remaking the monetary system. That's what Microsoft CEO William H. Gates III had in mind when he bid for personal-finance software maker Intuit Inc. He saw programs such as Intuit's as the gateway that would draw millions of consumers onto his online network where they could pay bills, get financial advice, or shop, perhaps paying him for access. But the Justice Dept. worried about Microsoft's reach, and he abandoned the deal on May 20. They should be. The stakes are enormous. Seamus McMahon, a vice-president at Booz, Allen & Hamilton, sees as much as 20% of total household expenditures taking place on the I-way just 10 years from now. If any operation, whether Citicorp or a startup such as Mondex, gained control of a new medium for even part of those exchanges, it would have the opportunity to charge royalties or fees for its use and earn interest on the E-money sitting in its accounts. Even a tiny charge, when applied to millions of transactions, would be highly lucrative. WINNING CONSUMERS' TRUST. Governments' and central banks' control of money flows has already been loosened, as shown by recent currency and market crises in Mexico and elsewhere. But with the growth of E-cash, money could flow in and out of countries at lightning speed without being traced, weakening governments' ability to monitor and tax. ''Over the long haul, this is going to lead to the separation of economy and state,'' declares Bill A. Frezza, president of Wireless Computing Associates and co-founder of the advocacy group DigitaLiberty. The growth of E-money could also be bad news for banks. If other companies successfully offer their own brand of digital cash, they could bypass banks as primary providers of consumer financial services. The companies, not the banks, might be consumers' first contact when they wanted to obtain some digital money. ''Banking is essential to the modern economy, but banks are not,'' says J. Richard Fredericks, senior managing director at Montgomery Securities. Commercial banks are, of course, entrusted with the creation of money through the fractional reserve system. They lend out more than they have on deposit, and they are the only companies authorized to do so. If each unit of E-cash had to be backed by a corresponding unit of traditional currency, that would mean that lending out E-cash wouldn't create new money. But if nonbank money suppliers started backing just a fraction of their digital cash with traditional money--just as commercial banks today keep on hand only a fraction of the deposits on their books--nonbanks, which are largely unregulated, could create money just as commercial banks do now. Bankers must move fast to keep up. Ronald A. Braco, head of electronic banking at Chemical Bank, estimates that banks have less than five years to come up with viable E-money products before other players carve out the biggest chunks of the market for themselves. ''No question, it's for real,'' says Richard M. Rosenberg, chairman and CEO of BankAmerica Corp. In a couple of years, ''it will take off fairly dramatically.'' The issues now: winning consumers' trust and getting them to change their buying habits. The first step in that direction could be to get consumers used to using credit cards for purchases on the Internet. Once that happens, the thinking goes, they may be willing to start using E-cash systems. One of the first purveyors of a Net credit-card system is First Virtual Holdings, run by onetime celebrity manager Lee Stein. Stein has launched a relatively simple system using E-mail that lets consumers use credit cards on the Internet without fear that their account numbers will be misappropriated. The card numbers are stored away on a protected computer system and never pass over the network. Instead, consumers register with First Virtual by phone and receive I.D. numbers in exchange for their card numbers. When they want to buy something electronically, they simply supply their I.D. number to the merchant. First Virtual, which became the first secure payment system on the Net when it handled its first transaction last October, is growing fast. Stein won't disclose activity levels, but he says volumes are increasing by 16% a week. ''If you make it simple and safe, people will use it,'' he says. First Virtual has enlisted such merchants as Apple Computer, Reuters, and National Public Radio--which sells transcripts of programs. Most electronic extensions of the credit-card system, though, are built around encryption--scrambling card numbers so they can pass safely on electronic networks. For example, CyberCash Inc., a Reston (Va.) startup, is cutting its teeth on a deal with Wells Fargo & Co. for encrypted credit-card transactions over the Internet. Visa and MasterCard, not surprisingly, are also working to make credit cards usable on the I-way. Visa is, among other things, developing with Microsoft a system using encryption technology that they hope will become an industry model. ''We want to be sure that the industry as a whole has certain standards,'' says Carl F. Pascarella, president and CEO of Visa USA. Meanwhile, MasterCard has teamed with Netscape Inc., a maker of security and browsing software for the Internet, to pursue a similar goal. WILTSHIRE EXPERIMENT. Credit-card-based systems have the advantage of seeming familiar to consumers. But the card systems don't do everything cash can: They're not anonymous, they do not work person-to-person, and they have credit limits. They're also not suited for the grassroots economy the Internet makes possible, where any outfit or individual can sell its wares, whether a newsletter or a stock tip. That's where E-cash comes in. But E-cash needs to be just as secure as credit cards for people to use it. David Chaum, CEO of pioneer DigiCash in Amsterdam, has done the most to solve this problem. He has devised a clever system that uses so-called public-key cryptography that, like encryption, makes it possible to send sensitive information over the Net. But Chaum's big breakthrough was ''blinding'' technology, which lets the issuing bank certify an electronic note without tracing whom it was issued to. The result: Your E-cash, unlike an encrypted credit-card transaction, is as anonymous as paper cash. Chaum has yet to announce firm deals with companies to issue his E-money. But in a pilot, some 5,000 consumers are part of a DigiCash marketplace, using the equivalent of $1 million in E-money to do business with 50 companies, from Encyclopaedia Britannica Inc. to Ricky's Junk Shop. Chaum's technology is also at the heart of CAFE, a European Commission-sponsored project to develop an electronic wallet for pan-European use. CAFE's setup is similar to Jones's Mondex system. ''Imagine it's the same as physical money, and you won't be far off,'' says Jones. Mondex money will be created initially by NatWest and a partner, Midland Bank PLC, which will then ''sell'' it to customers. The E-money is loaded onto credit-card-size ''smart'' cards with embedded microchips. The cards can be used in point-of-sale terminals or fit into electronic wallets that can transmit money to merchants or--just as with traditional cash but not with credit cards--to other consumers. Mondex money is still in pilot form, but the company has signed up 40,000 consumers and over 1,000 retailers in the Wiltshire town of Swindon to test Mondex money beginning in July. CyberCash, too, is experimenting with E-cash in addition to its credit-card-based system. In the E-cash system, consumers will set up E-money accounts at their banks. Then, using proprietary software provided free of charge by CyberCash, they can go about their business on the Net. At the end of the day, CyberCash will clear all the E-money transactions and convert E-cash balances back to dollars. No matter who develops the best E-cash, consumers and businesses alike stand to reap sizable benefits. No longer will consumers have to wait for change or scurry to automated teller machines for cash--out of sight, they hope, of the nearest mugger. E-cash will let businesses carry out transactions around the world without transferring bank funds--and they will be better able to reach a large population of technologically savvy, often affluent consumers. Moreover, because E-money is basically software, it can be programmed to do things that paper money could never do. Microsoft's Myhrvold explains that electronic money could be earmarked for special purposes, with conditions on where it can be spent. For example, a business could have an electronic version of petty cash to be used for supplies at an Office Depot--but not a beer at the local tavern. Or parents could wire to a college student E-money that is designated for rent or books. ''There will be new forms of smart money and payment systems that can only be done online,'' says Myhrvold. There's also a major potential for crime (page 78). E-money can be easily sent in and out of a country undetected, facilitating money laundering on a grand scale. Tax evasion could become a matter of pushing a button. And without foolproof cryptography, counterfeiters could replicate the series of digits that constitutes E-money. Governments would be hard pressed to monitor or control stateless E-money. ''Digital cash is a threat to every government on the planet that wants to manage its currency,'' says David E. Saxton, executive vice-president of Net1, a startup that has developed a secure way to send electronic checks across the Internet. Another open question--and a large one--is the role of banks in the new electronic world. ''E-cash will be offered by both banks and nonbanks,'' says Chaum. Sure enough, DigiCash or CyberCash could join forces with AT&T or Microsoft just as easily as with Citibank. Having one of those companies dispensing E-cash directly to consumers could do serious damage to banks' main link with their customers. Improbable? Not really. Take a look at credit-card processing. Twenty years ago, banks owned the card-transaction-processing business. Now, close to 80% of card transactions are processed by nonbanks such as First Data Resources Inc., says KPMG's Crone. A similar erosion has occurred in wholesale banking, where banks have ceded to such outfits as General Electric Information Services and Electronic Data Systems Corp. nearly the entire market for transferring payment data to corporations, leaving themselves the mundane, low-margin service of transferring money between corporations. Today, says banking consultant Edward E. Furash, although the situation is improving, fewer than 100 banks offer full-service electronic data interchange, as the data part of payments transmission is known. ''We should do more of that,'' says Richard Matteis, head of Chemical Banking Corp.'s Geoserve unit. Banks have one key advantage: a near lock on consumers' trust when it comes to depositing money. For that reason, many bankers tend to dismiss the threat implicit in E-money. ''The reason financial institutions are going to win in the long run is trust,'' says Kawika Daguio, the American Bankers Assn. 's federal representative on operations and banking. Indeed, many E-cash makers are choosing to partner with banks because of that consumer trust. ''We've positioned ourselves to work with the banking industry and make sure that if there are heroes in this, it is the banks,'' says William N. Melton, CEO of CyberCash. But Microsoft's bid for Intuit last fall gave bankers a collective scare. And even though the deal did not work out, banks worry that Microsoft could hook its 70 million Windows customers into the electronic-commerce networks that it is developing--with or without banks' help. If Microsoft becomes a utility, ''it will take a lot of business from the banks,'' says Montgomery's Fredericks. Beside NatWest and Midland, Bankers Trust Co. has a group dedicated to electronic commerce. And even some regional banks see opportunities. There is Wells Fargo's work with CyberCash. First Union Corp., based in Charlotte, N.C., has created an electronic mall for Internet transactions. Even Cardinal Bankshares Inc., a $607 million Lexington (Ky.) bank, on May 24 formed a new subsidiary, Security First Network Bank, which aims to grow into a full-service interactive bank on the Internet. ''We'll be a one-branch bank in Kentucky with potential customers all over the U.S.,'' says CEO James S. Mahan III. While it's not clear who the players will be 10 or even 5 years from now, it is inevitable that much E-money will originate outside the purview of central banks such as the Federal Reserve or the Bank of England, which are largely responsible for traditional monetary regulation. And that has major policy implications. To begin with, consumers using the stuff could be extremely vulnerable. When consumers lose their credit cards, they are only liable for the first $50 of charges on the card. But for now at least, if a consumer misplaced, say, a Mondex card, it would be like losing cash. Similarly, if your digital coins are stored on the hard drive of your PC, a system crash could wipe out your electronic savings. Electronic money also creates vast opportunities for tax evasion, money laundering, and other financial crime. ''There is an imaginable potential for a serious challenge to the whole political and social order,'' says First Virtual's Borenstein. ''I am not all that sanguine that the government has the control they think they do.'' For people trying to avoid paying taxes to a national government, the lure of a stateless currency would be powerful indeed. Already, ''virtual currencies'' serving electronic communities of people are springing up on the Internet. Then there's the issue of the volatility of money. The effects of high-speed electronic trading have been painfully apparent in market crises over the past several years. Market swings could be magnified if consumers and businesses could send their money around the globe with the touch of a button on a PC. The monitoring of national money supplies will also change. While some regulators dismiss the issue, arguing that E-money will inevitably convert back to traditional money and get counted, other experts disagree. Martin Mayer, a guest scholar at the Brookings Institution, says that he expects the Fed to lose control of a significant portion of the money supply. One of the most pitched debates is likely to be over privacy. As a society, we have relied on a system that allows us to keep some transactions private by using cash, while others, such as big-ticket purchases, are entrusted to a credit-card company or a bank. Competing forms of E-cash offer wildly differing degrees of privacy: DigiCash's E-money offers virtually complete anonymity, while every dollar you spend using the credit-card-based systems would leave a trail. The problem will be balancing individuals' rights to privacy with government's need to monitor money flow and trace criminal activity. BREAKING INTO THE E-MINT. More dire is the possibility of major break-ins to E-money systems--the electronic equivalent of penetrating the U.S. Mint. If someone were to crack the sophisticated code of, say, the DigiCash system, he could start minting unlimited amounts of his own DigiCash money. Slowly, though, some regulators are beginning to explore the concept of E-money so they can set policies. The Federal Reserve's payment-systems committee is meeting with Chaum of DigiCash and other E-money pioneers. State tax collectors are looking at the issue of taxing electronic commerce. The Financial Crimes Enforcement Network is also weighing in. Even the White House technology office is taking a big interest. It's not a moment too soon. ''There's no going back,'' says DigitaLiberty's Frezza. ''The genie's out of the bottle. The Internet doesn't have an off switch.'' And no amount of wishing by regulators will change that. Seashells, odd rough-hewn coins--the first money was flexible, highly distinctive, and exchanged in multifarious ways. Objects were gradually replaced by standardized commodities such as gold and silver, and these in turn by paper money. Yet even early currency was at first issued by private banks, local governments, and others--usually backed by gold and silver. Diversity abounded. E-cash may be technologically light-years ahead of early money. But in many ways, it is closer to seashells than greenbacks. E-cash is digital money that moves through a multiplicity of networks instead of the current bank system. It comes in lots of guises, is created by lots of individual parties, and is backed by anything constituents demand as an accepted medium of exchange: gold, dollars, yen, whatever. It is the ultimate, and inevitable, currency for the wired world. Competition is intense, producing rapid innovations. Using money downloaded to your PC or a palm-size electronic ''wallet,'' you'll be able to zap money to merchants on the Net--or buy a newspaper faster than you can grab a greenback. If you're a business owner, you can bypass banks and move E-cash directly to customers and suppliers. The advantages: convenience, speed, cost savings. The technology is complex, but to the user, E-cash is as easy as pushing a button. The current money system is largely monolithic. Nearly all major countries have a single system of national currencies and bank checks. Most have elaborate infrastructures built around commercial banks and a central governing body such as the Federal Reserve Board. That entity is usually the only facility allowed to issue money. Perhaps because of their monopoly structures, money systems tend to resist change and innovation. Traders can move millions of dollars around the globe at the touch of a button. But the small check-based transactions of consumers can take days to clear. And chartered airplanes physically transport billions of checks around the country every workday. 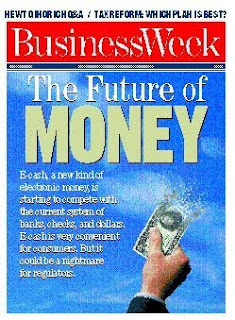 Kevin Kelly's landmark publication, Out of Control: The New Biology of Machines, Social Systems, & the Economic World (April 13, 1995), included a chapter on E-money that was important enough to reproduce separately below. In total, it includes six sections on E-money, which lay the framework for a nonpolitical, anonymous digital cash environment that the world still has not seen. What Does Hong Kong Need a Central Bank For? The Hongkong Bank has been viewed as a quasi-central bank for Hong Kong, with its prominent roles as a note-issuing bank, as the clearing bank, the bank for the government, and the lender of last resort. However, its announcement to shift domicile to the U.K. in late 1990, and its recent bid to merge with the Midland Bank, have raised concern over its commitment to the territory. Some critics believe there is the need for Hongkong Bank to shed its central bank functions, or at least for some of these functions to be shared by other institutions. The establishment of a central bank or some kind of monetary authority is also considered to be a clear alternative. As a matter of fact, the power of Hongkong Bank over monetary affairs in the economy has been tremendously weakened since July 1988 with the introduction of the New Accounting Arrangement (NAA). On the other hand, the Office of the Exchange Fund (OEF) has gradually taken over through the NAA, through the introduction of Exchange Fund bills, and most recently, the introduction of the Liquidity Adjustment Facility (LAF). The emergence of the OEF in monetary management in the past few years has been particularly notable. It has also been reported in the press that it is going to be merged with the Banking Commission to form a central monetary authority. The rapid changes in monetary institutions in Hong Kong warrants close attention. It is imperative to make clear what a concentrated power in monetary management, be it called a central bank or a monetary authority, can and cannot do for the economy. It is even legitimate to ask if it is necessary. Despite the nonexistence of an actual central bank in Hong Kong, the normal functions of a central bank have been carried out by various private and public agencies in the territory, as has been pointed out repeatedly. While note-issuing, the clearing mechanism, and government banking are done by commercial banks, the control of liquidity, the stabilization of exchange rates, and the lender of last resort are in the hands of the OEF. The Banking Commission is in charge of bank supervision and regulation. As for the money supply, so long as the Hong Kong dollar is pegged to the U.S. dollar, it is automatically determined in the market. In other words, there is no major central banking job that is missing. The lack of a formal central bank by no means indicates any deficiency in institutional arrangements in Hong Kong. On the contrary, it might well have been a blessing to the economy. It is well known that the Hong Kong economy compares favorably with most other economies that have central banks. A central bank is neither necessary nor sufficient for good economic performance. What, then, could the establishment of a central bank contribute to the Hong Kong economy? There may or may not be a gain in administrative efficiency by putting all central bank functions under one roof, but in any case, this is a minor consideration. The main implications of a central bank are monetary: the control of the money supply, interest rates, exchange rates, and price level. Under the current monetary arrangement, Hong Kong chooses to fix the value of its currency vis-a-vis the U.S. dollar. In fact, during the greater part of Hong Kong's recent history, the local currency has been tied to some outside value, and it has been the major responsibility of the Exchange Fund to stabilize the official parity. The introduction of the NAA and the LAF can be seen as efforts to strengthen the OEF in this regard. As such, the upgrading of the OEF to a central monetary authority would not enhance its ability to maintain the official exchange rate. Some have argued that a central bank can help control inflation. This is particularly appealing given the current high rates of inflation in Hong Kong, coupled with low interest rates due to low U.S. interest rates. This begs two questions: What do we want the main responsibility of a central bank to be? And can a central bank maintain price stability? With regard to the first question, it has to be noted that once the authority decides to fix the exchange rate, there is not much it can do about money supply, interest rates, or the price level. Any attempt to manipulate the latter would destabilize the official exchange rate. In other words, we have to decide what we want from a central bank: exchange rate stability or price stability. If we want to preserve exchange stability as we have been doing before 1974 and since 1983 under the linked exchange rate system, there is no need to set up a central bank. Existing institutions have proven sufficient for the job. This would mean, however, foregoing the control of money and interest rates. A central bank is necessary only when we want to regain control of the money supply. However, this would mean severing the link, a great departure from the kind of monetary system Hong Kong has been adopting, as well as from the official role of the Exchange Fund since its inception in 1935. Whatever the choice, we have to be aware of the necessary trade-offs. Failure to do so would result in wavering monetary policies and would create an uncertain monetary environment for the economy, with detrimental effects. With regard to the second question, suppose that the OEF takes over the control of money supply and floats the H.K. dollar, then it has to decide how much money supply there should be or how fast it should grow. This is not an easy task. One might think that the money supply should be controlled so as to attain some policy goal, for example, low inflation. But there are certain difficulties. First, almost all policies incur side effects. A tight monetary policy to curb inflation would raise interest rates, with implications on the stock and property markets and businesses. These may not be undesirable at the moment, but the point is, it is difficult to know what the optimal policy should be, and opinions will vary. Second, the effects of policies are not necessarily immediate, with various and variable time lags on different items. Again, this makes it hard to prescribe the appropriate policy. Third, people do not react to policies passively. They would take into account the behavior of the monetary authority in their economic calculations, and this could offset policy effects, rendering the policies ineffective. The authority may need to apply stronger policies the next time to counter public expectations, and this may again in time be incorporated in people's calculations. Such interaction between policymakers and the public could be destabilizing. Fourth, policy goals as decided by the authority may change as the authority sees fit. This introduces an extra measure of uncertainty since the public has to guess what are the priorities of monetary policy decisions now and in the future. An alternative in monetary management is to remove discretionary power in monetary policy from the authority and let the money supply be determined by rule. Examples of rules are a fixed percentage increase every year, or changing the money supply so as to maintain some predetermined interest rate or exchange rate. The benefit of monetary rules is to avoid policy mess-ups and let market forces decide the outcomes. However, for rules to be operable, they have to be credible, or are expected to be maintained for a considerable period of time. This requires that the monetary authority be independent and able to resist various political pressures, and that the stated rules be free from political meddling. In this regard, it is extremely doubtful whether Hong Kong should have a central bank now or in the near future because of the increasing politicization of practically every public issue. There is little recognition, not to speak of consensus, at the moment, that independence of the monetary authority is a desirable goal. Even if there were such a consensus, it is not clear that political realities would permit that goal to be realized. With all these difficulties in conducting monetary policy, it is not at all clear if central banks can help maintain price stability. Experience elsewhere in the world indicates mixed results. There are the renowned records of the Bundesbank and the Bank of Japan, yet there are also runaway inflation experiences in South America and other economies. A central bank could be an important force in battling inflation; it could equally be an engine of inflation itself with its power over money supply. At the same time, it could easily eliminate any fiscal discipline the Hong Kong government has established over a long period of time. Fighting inflation is only one thing that some critics expect a central bank in Hong Kong would do. There are others who argue that a monetary authority would strengthen Hong Kong as a financial center. This is again doubtful. Financial centers thrive on little intervention and on the rules of games that ensure fair play, plus on other supporting infrastructure. The existence of a central monetary authority is not directly relevant. However, this indicates that there are already various expectations from a central bank even before its establishment, which may not be consistent or justifiable. There would certainly be more demands of various types from a central bank once it is there. It is imperative that we have to ask if we really want a central bank, and if we do, what do we need it for. The reason for having a central bank has to be overriding and upheld, regardless of any political pressure. Government officials have, on various occasions, denied that the rapid changes in monetary institutions are steps leading to the set-up of a central bank. They have also tried hard to convince people that the linked exchange rate system is here to stay. Nevertheless, irrespective of government intention, the institutional changes have gradually provided a framework to get rid of the link. This is alarming, as there is no basis to believe that Hong Kong is ready for central bank-guided monetary policy through political uncertainty. After all, central banking is neither necessary nor sufficient for monetary stability or economic growth. There should be no illusion that central authorities necessarily facilitate economic prosperity. Dr. Luk Yim-Fai is a lecturer in the Department of Economics at The Chinese University of Hong Kong. My 1985 thesis from George Washington University Economics Department examines the factors contributing to and culminating in the political appropriation of the monetary unit by outlining the stages of the politicizing or nationalizing process. Pamela J. Brown of Auburn University published an excellent summary of free banking in the Austrian School tradition entitled "Constitution or Competition? Alternative Views on Monetary Reform" (Literature of Liberty, Vol. v, no. 3, Institute for Humane Studies, Autumn 1982). Dr. Ralph Borsodi (see the Plowboy Interview in MOTHER NO. 26) is chiefly famous for his successful experiments in self-sufficient living. There's another side to the man, however, that is of increasing importance in this time of runaway prices: his long-term interest in inflation, its causes and cures. To be downright blunt about it, Borsodi does not believe that a steadily shrinking dollar (or yen or mark or franc or whatever) is quite the "accident" that politicians usually make it out to be. Quite the contrary. In his view, governments cynically and stupidly debase the purchasing power of their currencies on purpose by printing too much paper money. Why? Because modern politicians and the economists who advise them are—in the main—rather weak-willed animals who lack either the power or the fortitude to run a country on a strictly pay-as-we-go basis. "It wasn't always this way," Borsodi points out. "During most of the last century, the majority of economists preferred gold and silver or currencies that were solidly backed—unit for unit—by such real wealth. The prevailing doctrine among those economists was that the worst possible kind of money was 'printing press' money . . . currency backed by nothing except the word of the government which issued it. They called this fiat money. They didn't have much regard for it. "All right. Along came John Maynard Keynes. He was a very influential economist in England from about 1915 to 1946 and he invented the idea that we can insure prosperity by 'controlled inflation'. "Keynes' theory, you see, is that a government can steadily expand a country's economy, even during periods of what would otherwise be a recession or depression, by pumping a little 'extra' money—a little printing press currency—into circulation. "Now Keynes knew that this would dilute the purchasing power of every unit of money already in circulation. If you have more units of money trying to buy the same amount of goods and services, you know, prices inevitably go up. You have inflation. "Keynes was willing to accept this debasement of currency, however, because he thought that a government could inflate its currency just a little bit and just once. Then, as the Good Times began to roll in that country once more, the government could stop pumping the extra units of money into the nation's economy. "Well that was a nice thought, but politicians don't seem to work that way. Planned inflation is just like planned drug taking. It doesn't work. You always need a bigger 'fix' the next time around. Politicians have never stopped inflating a country's currency once they've begun. Quite the contrary. They just keep on giving a nation's money supply a bigger and bigger shot in the arm until the whole situation runs away with itself. And that's what's happening on a global scale right now." Borsodi traces the planet's current financial problems to the International Monetary Conference held in Bretton Woods, New Hampshire in July of 1944. Keynes' inflationary philosophy was adopted on an international scale at that meeting and, as a result, is universally accepted by heads of state and their advisors today. Dr. Borsodi, on the other hand, was not impressed by the idea then and he remains unimpressed by it now. "I like what I call 'rational systems of money'. I liked then in 1944 and I still like them today. Fiat money is not rational and Keynes' philosophy of economic growth can lead only to fiat currency." 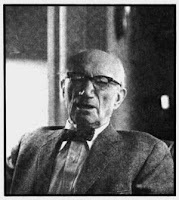 The Bretton Woods conference disturbed Dr. Borsodi so deeply that he soon wrote a small paperback in which lie prophesied what are substantially the economic problems that we're experiencing right now. The booklet, published in 1948 by The School of Living, was titled Inflation is Coming and What to Do About It. Despite the fact that the publication sold nearly half a million copies, however, few individuals in positions of power seem to have read it or to have heeded Borsodi's warnings. And so we find nearly every nation in the world frantically trying to run up . . . an increasingly rapid down escalator of debased currency. It costs more and more every day, in other words, just to stayeven than it did the day before. During the 28 years from 1945 to 1973, the value of the United States dollar depreciated by a good two-thirds . . . and a 1974 dollar has shrunk an additional 10%. And there's no end to the madness in sight. "If we continue this foolishness," says Borsodi, "we're eventually going to witness a debacle followed by a depression worse than that of the 1930's." Dr. Borsodi was more or less content to write and talk about the problem until the U.S. dollar was devalued in 1971. He and his wife were visiting a health resort in southern California at the time and Borsodi was researching a book in the Escondido library when he picked up a newspaper and read of the devaluation. The book was forgotten. Borsodi says, "I began to wonder what would happen if, instead of writing another book about inflation, I were to try to issue a currency that would be inflation-free." When he returned to his Exeter, New Hampshire home, Borsodi began discussing his idea with the officers of all the banks in town. He also wrote to the head of the Federal Reserve System and talked for hours with Federal Reserve representatives in Boston. Borsodi was very open about what he intended to do and he took the stand that, while the United States Constitution forbids the counterfeiting of this nation's currency, it in no way limits the minting or circulation of a completely alternative medium of exchange. Although no one particularly agreed with Dr. Borsodi, no one disagreed with him either. He now says, "I think they probably said to themselves something like, 'Oh well, let the old man go ahead. He can't do anything much up there in Exeter.' I think this is the attitude they probably took toward the whole affair." And go ahead he did. Borsodi figured that if it was a good idea to back a currency with gold and silver, it'd be an even better idea to back it with a whole market basket of commodities. That is, if certificates were printed and distributed with the guarantee that they'd always be 100% redeemable in fixed amounts of, say, 30 of the world's most widely used resources . . . those certificates would automatically increase in value as the value of the resources increased (in terms of constantly degraded national currencies). Whereas a dollar will now buy less than one-third as much gold or wheat or silver or iron or tin or cotton or copra as it bought in 1945 . . . such a certificate (which is issued with the guarantee that it will always be exchangeable for a fixed amount of all these goods) will, by definition, perpetually buy the same amount of gold or wheat or silver or iron or tin or cotton or copra. Year after year after year after year. By issuing a certificate firmly based on real wealth , in other words—instead of politicians' empty promises—Borsodi thought he could create a medium of exchange that would be inflation-proof . . . or "constant". And he decided to call his new currency just that . . . the constant. Does the idea work? Well, Borsodi presented his thoughts to a number of people who—over a period of about three years—have "deposited" a total of approximately $100,000 in something called the Arbitrage International "bank". (Deposits and withdrawals can be made by an individual at any time just as if he or she were dealing with a real bank, and all monies are fully protected by the Federal Deposit Insurance Corporation.) The funds, in turn, have been used to buy and sell Borsodi's 30 basic commodities on the world market. Result: The pioneers in the experiment have seen their constants rise in value (in relation to the dollar) a whopping 17% in just three years. Or, to put it the other way around, a constant bought in 1970 can still be traded for exactly one constant's worth of goods . . . while a dollar will now buy only 85% of what it would purchase three years ago. Borsodi next took his idea one giant step further by minting something he calls a globe. As Keith Dewey—a young man who has helped Dr. Borsodi found his alternative currency—says, "We can't call them coins because that's against the law and we refuse to call them medallions so we call them globes. They're the missing link between absolute barter and trading. They have no labels on them. No dollar sign or cent sign, and no constant sign. All it says on a globe is that the piece of metal contains either one-half ounce or a full ounce of .999 fine silver. A globe, in other words, is a very convenient barterable item. You can't keep wheat in your pocket and you can't keep a fish in your pocket but you most certainly can keep a globe—which has a real worth of its own—in your pocket. And that real worth, by the way, remains constant. No matter what a dollar bill will buy on any particular day, a globe will always purchase exactly its weight in silver—and a corresponding amount of any other commodity—because a globe is silver." So OK. So Dr. Borsodi seems to have accomplished exactly what he set out to do. So where does he go from here? Now that the initial test of his idea is over, Borsodi (who is nearing 90) has handed most of the responsibility for his alternative currency over to younger men . . . who are in the process of scrapping the prototype setup and establishing a truly international alternative medium of exchange. The people currently working on Borsodi's concept hope to be able to set up a public corporation by fall. At that time, debentures will be issued by the corporation for funds received. That is: You will be able to pay dollars or any other national currency for Arbitrage International debentures. Your money will then be invested in commodities or guaranteed contracts for commodities . . . and the goods will be used to give a stable value to the certificates (the debentures) you hold. Owners of constants will be able to redeem their holdings in their own national currency at any time. Holders of constants will also be able to exchange those holdings for commodity contracts on which they can then take delivery, or which they can sell on the open market for some other national currency. This activity will be coordinated out of a bank which will be established in Luxembourg (Arbitrage International already maintains both a Luxembourg and a London office, in addition to its temporary headquarters in Exeter, New Hampshire.) If all goes well, it is hoped that the Luxembourg bank will eventually prove a boon to developing nations by granting self-liquidating, interest-free loans to such commodity-exporting (exploited) countries. This will raise the standard of living in the poorer areas of the planet and encourage international trade. And it will do one thing more: Give little people the world over a safe port against the tidal wave of inflation that threatens to engulf us all. The first thing I knew about the constant was when Dr. Borsodi came into my shop, the Green Earth natural foods store on Water Street in Exeter, New Hampshire. Jerry Rooney and I own it. Dr. Borsodi said, "Would you pass out these pamphlets about the constant to your customers?" And I said, "Sure. What are they? What is it ?" And he said, "Well, it's a new currency." He put it in such a simple way that I'll never forget. He said, "It's a currency based on real commodities such as rice and wheat and cotton and iron." You know, that made sense. Then he said, "This will enable the constant to be stable because as the prices of these commodities go up, the price of the constant will likewise go up." And that made a lot of sense. Dr. Borsodi really got me interested. In fact, my wife and I opened a checking account with Arbitrage International shortly after that. It was as easy as starting a checking account with the average bank . . . we filled out the same kinds of forms, we could make withdrawals in dollars instead of constants any time we wanted to and our deposit was fully insured. Green Earth and our restaurant—the Loaf and Ladle—were two of the first businesses in Exeter where you could trade in constants. In the Loaf and Ladle I've got a constant and a silver globe posted up over the cash register. That particular globe was the first one to ever be taken in barter, which is its ideal function. One person came into the restaurant and bought three meals with it. And we went back and forth. I said, "Let's see, I know silver's worth $3.25 an ounce today, but I know you paid $7.00 to get that globe, so I'll give you $5.00 worth of food for it." So he bought $5.00 worth of meals. I did $5.00 because I knew that if I took it back to Arbitrage International and told them what I'd done, they'd give me $5.00 for it. And the constant up there over the cash register is the first one that anybody spent in the restaurant. As a matter of fact, the Loaf and Ladle might never have gotten started in the first place if it hadn't been for the constant. My wife, Kerry, and I wanted to open a good food restaurant, a place where we could cook food that was good for people . . . not necessarily organic or natural but just the best you could get of what we wanted to serve. And what we wanted to serve was homemade soups and breads and desserts . . . and salads using a lot of natural things like sprouts and high-protein combinations. Now I've done a lot of work in restaurants and know the ropes as far as managing one and getting the equipment and setting it up and stuff, but nobody thought that a "soup kitchen" could be successful in this area. Well, in February of '73 we got a loan of $1,500 from Arbitrage International to get the Loaf and Ladle started. Now this was before the new currency was actually minted. It wasn't minted until June of last year. But the Institute put the money into our checking account in dollars and then, later on, we paid our loan installments back in constants. It worked out really great because Dr, Borsodi wanted somebody to go through that loan phase with his new currency, and we needed the money . . . so we were actually helping each other. And the restaurant has been a great success right from the beginning. It worked out really well. As far as the alternative money system goes, the constant is so good that the only thing keeping it from working for everyone right now is that the government wouldn't go for it. It defeats the government's whole purpose. They wouldn't be able to print money any time they wanted to: they wouldn't be able to manufacture money out of thin air. During the early 1990s, I was employed by VISA International as their Chief Foreign Exchange Dealer and later migrated to study and develop global interchange rates between member banks. Welcome to a new blog discussing the intersection of monetary economics and nonpolitical digital currency made possible through the use of strong encryption.